Actor-comedian Kapil Sharma, who is getting married to Ginni Chatrath in December this year, spoke about his impending wedding in an interview to Hindustan Times. Speaking to Hindustan Times, Kapil Sharma said that his wedding to Ginni will bring a "huge change in his life". "I am ecstatic to be with Ginni and I know this marriage will be a huge change in my life. Discipline aayega. She takes good care of me and is a huge support in my life. People like me are surrounded by many people at work or events or otherwise, but when you come home, ghar khali lagta hai," Hindustan Times quoted Kapil Sharma as saying. The stand-up comedian had introduced Ginni as his girlfriend on social media in 2017. 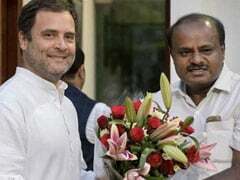 Kapil Sharma revealed that they had decided to get married last year (2017) but their wedding was postponed due to his hectic schedule. "Back then, we had decided that we would get married but due to my hectic schedule, we couldn't lock a date. My mum stays in Amritsar and worries about me. Now that I am getting married, I think it was destined. I feel marriage is an essential part in our lives as it brings stability." Kapil and Ginni are getting married in Jalandhar (Ginni's hometown) on December 12. The couple will also host a grand reception in Mumbai on December 14. Last year, Kapil Sharma featured in headlines for his fight with long-time collaborator Sunil Grover, who has vowed never to work with the comedian again. It was also revealed later that Kapil had joined a rehab to fight alcoholism. 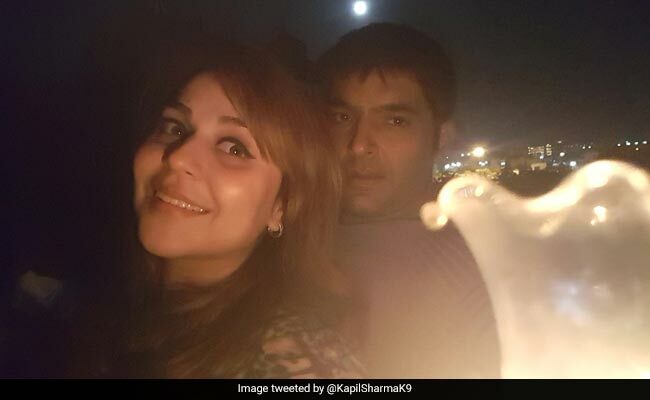 Speaking about his "low phase" and the support rendered by Ginni, Kapil Sharma added: "Last year, when I was going through a low phase, she was there with me throughout. That's when I felt that if she is with me during my low phase, then she is the one for me. I can rely on her." Kapil Sharma confirmed his wedding to Ginni Chatrath last month. The stand-up comedian in an earlier interview to IANS said that he wanted to let his fans and media know that his wedding date has been set for a long time but he kept mum to promote Punjabi film Son Of Manjeet Singh - Kapil's first film as producer. "For the past few weeks, I've been promoting my Punjabi film. I didn't want to talk about the wedding during the promotions, although the media repeatedly kept asking," he said. Kapil Sharma has featured in several comedy reality shows before changing the face of stand-up comedy with Comedy Nights with Kapil in 2013. He moved to another channel with a similar show, titled The Kapil Sharma Show in 2016. Kapil also featured in films like Kis Kis Ko Pyaar Karoon and Firangi.